The Ironman Florida bike course consists of a single loop with an out and back section, and the average overall time is 6:02. (see how Florida ranks on our list of Top 25 Toughest Ironman Bike Courses). 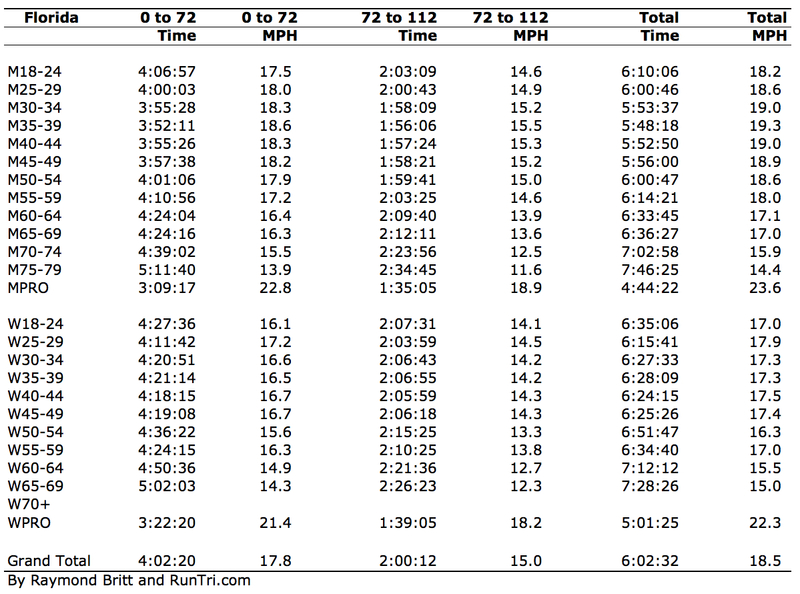 Our analysis of Ironman Florida data for the first 72 miles and last 30 miles on the bike course provides a view of average splits and MPH for all age groups. 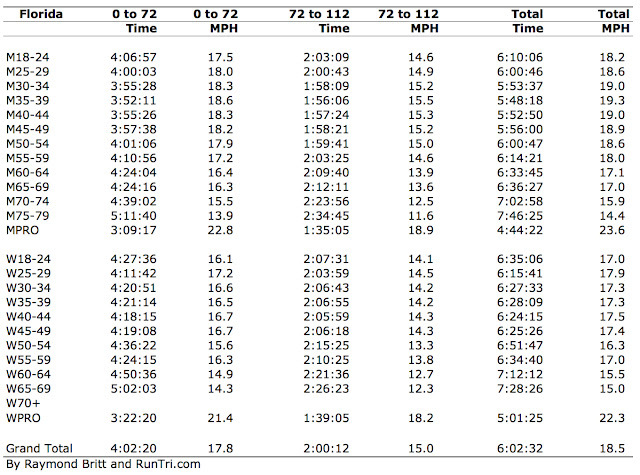 Also see our Ironman Florida Run Course Analysis and our Complete Ironman Florida Coverage.